How do you pronounce the Paris métro stations in French? 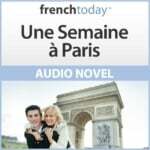 Learn the correct French pronunciation of all the Paris subway stations of “la ligne dix” (Paris métro line 10): Boulogne – Pont de Saint-Cloud / Gare d’Austerlitz” with my free and clear audio recording + maps and tips on riding the métro with a stroller! The line ten of the Paris subway system links the Boulogne – Pont de Saint Cloud metro station in Boulogne in the west with the Gare d’Austerlitz, travelling under the Rive Gauche of the Seine in the southern half of Paris. It has the least traffic of any of the 14 main metro lines (excluding lines 3bis and 7bis) and is entirely underground, however, since the walls of line ten’s tunnels are painted white, the entire line is quite bright! Unlike the other Paris métro lines, line 10 has two slightly different routes depending on the direction you are taking. What if you are going towards “Gare d’Austerlitz” but would like to stop at the “Michel-Ange Auteuil” station? Get off at the “Javel – André Citroën” station and follow the sign for “Boulogne – Pont de Saint-Cloud”! Going through the subway gates with large suitcases or a stroller may not be easy… In a lot of stations, you do have a gate with a button you can buzz and a clerc will let you in. If you have to do this, first put your ticket through the ticket machine at the gate so you have a valid stamped ticket. Then go through the gate…. If there is not such a gate, I suggest pushing the said suitcase or stroller before you, and following fast: the gates should stay open long enough for you to go through!! As I already said in one of my previous tips, the Paris subway is not the best choice to commute with a large suitcase… Too many stairs! But how do Parisians with infants and strollers cope you may ask? Well, for regular commute, they are familiar with the stations and know which entry/exit has a gate, or whether they can easily go through with a stroller or not… And for the rest, they take a chance! Kidding aside, strollers in Paris are highly portable: you can fold them very easily… So when reaching the gate, if it looks like it could be tricky going through with a stroller, the commuter may just pick up their kid, fold the stroller, go through the gate with the kid in their arms, then unfold and resume their kid’s stroller ride. Not the easiest thing, but it’s possible… I’ve done it myself many times!